Welcome to our department for other playground options. Here you will find other options for your school playground/public park. Maybe you're after a sheltered area, we have many canopy and gazebo options. Or you're after a shaded area for the summer months, check out our shade sails. You will also find Sports walls, Activity panels, Bridges, Tunnels etc. 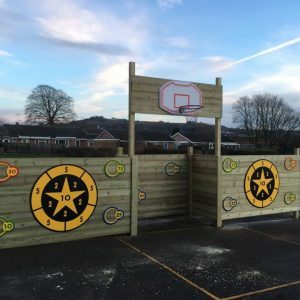 A premium sports activity centre, enhance children’s football shooting and basket ball skills as well as a great focus piece for your school playground. 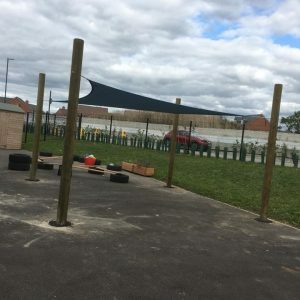 Add a bit of colour to your playground but also more importantly, a shaded area for the children to get out of the sun.